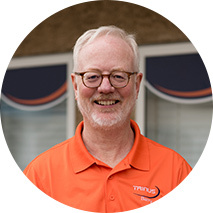 TRINUS is proud to have many highly-qualified staff members who embody our values of Professionalism, Friendliness, Competency, and Trust-worthiness. 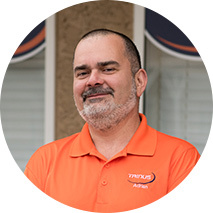 Dave helped found TRINUS in 1998 and is a Partner/Director. He currently divides his time between President and Account Managing duties. Dave spends his leisure hours rebuilding vintage radio gear, drag racing, and watching British Crime dramas with his wife Lena. 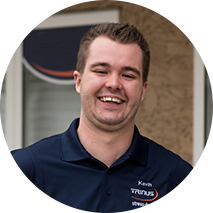 Kevin began at TRINUS in 2010 and is a Partner/Director, as well as an Accounts Manager. He relishes every chance to solve Clients’ problems, by leveraging new Technology. For Kevin, it’s never a dull moment! His biggest passions in life are Drag Racing and all types of Science Fiction, good or bad. 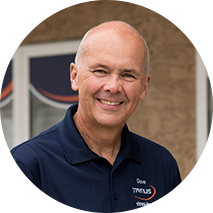 Sharrell is one of our company’s Partner/Directors, as well as the CFO. She has been with TRINUS right from the very beginning (1998.) Outside of work, Sharrell loves spending holiday fun time vacationing with her family, especially her grandchildren! She’s a big coffee and Crime Shows’ lover! 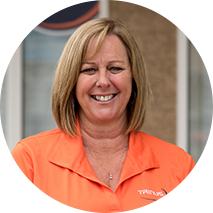 Linda’s been with TRINUS since 2008. She enjoys any kind of fun atmosphere, jigsaw puzzles, Baseball, and watching Hallmark movies (especially, Christmas chick-flicks!) Linda is a Partner/Director and a Jane-of-all-trades, as she handles a multiplicity of tasks and responsibilities. 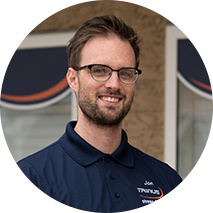 IT Technician Ryan has been with TRINUS since 2013. 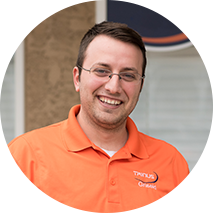 Technical challenges are for him the most rewarding aspects of working for our company. 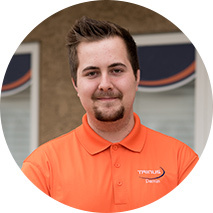 Outside of work, Ryan is Administrator for EAGR (Edmonton Motorcycle Teaching Group) and is also involved in the SuperSport Bike Racing community. 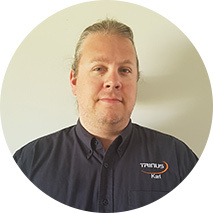 Karl started out at TRINUS in early 2017. 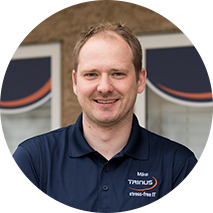 He’s our IT Security Supervisor and is responsible for the inspiring weekly TRINUS Security Awareness Newsletters, which are much appreciated by our Clients. In his spare time, Karl is a Robot-building aficionado! He can’t wait to start giving them brains!! 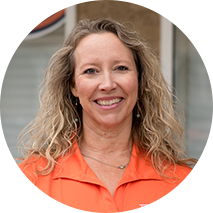 Kim has been with TRINUS since 2005. 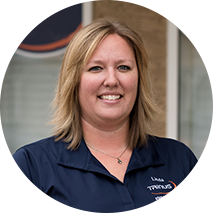 She’s part of our Administrative Team and excels at the type of work she does for the company. Kim enjoys fun movie and game nights with friends and family, as well as relaxing while reading a book on her back deck. Jon joined TRINUS as Accounts Manager in October, 2017. He likes to challenge himself in new and exciting opportunities in the Technological world. Jon loves being a husband and a dad. He’s passionate about Martial Arts and is also an avid historian of all incarnations of Punk Rock, Classic Rock and Alternative Rock. Adrian hails from Eastern Europe (maybe Transylvania or some spooky place like that.) 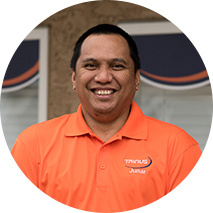 With TRINUS since 2011, Adrian thrives at dealing with multiple Clients and tackling different problems, as well as learning new things. He enjoys friends, Chess, the ESO, Sci-Fi, Music, News, & documentaries. 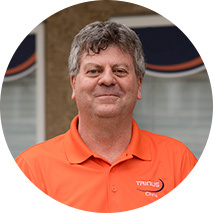 Mike has been with TRINUS since the fall of 2011. Managing our Computer Centre, he cherishes the opportunity of getting to work with Technology, as every day brings new challenges and obstacles to overcome. Mike enjoys going to the movies and watch just about anything Sci-Fi or Fantasy. 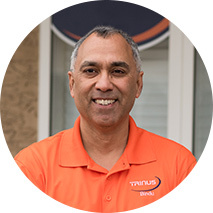 Bindu joined TRINUS in 2005. Family comes first in his life and he’s permanently awed to know he’s never without a family, even when at work. Bindu enjoys cooking, Yoga, forever seeking the ultimate coffee spot, Classical Music Christmas concerts, Foreign Language films, and of course… Soccer! Gris joined TRINUS in the summer of 2016. Originally from some mysterious and uncharted haunted place in Central Europe, he excels in his dual role of Service/Repairman & Salesman at our Computer Centre. He loves playing Soccer & Ping-Pong, Cycling and watching NETFLIX Whodunits. 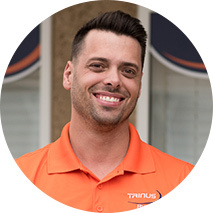 Chris joined TRINUS as Marketing Supervisor in September, 2016. A glass half-full-kind-of guy, he’s a serious ‘60s Music Collector and obsesses with unearthing long-lost Collectables & Artifacts. Chris also collects 60’s TV shows and ‘50s/‘60s low-budget Cult sci-fi flicks. He’s Soccer-crazy, as well as Whodunit-impassioned! Junar joined TRINUS in September, 2016. He’s a Senior IT Technician and always gets a kick out of accomplishing something for the very first time. He loves learning about new things and Technology. Junar enjoys playing Basketball, as well as coaching Kids’ Basketball, riding his motorbike, Camping, and Fishing. 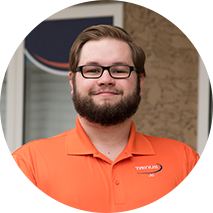 Jo came on-board in 2013 and has been an A+-Certified IT Technician since 2015. He works at our Computer Centre as a consummate Service/Repairman, and doubles as a terrific Salesman. One of his hobbies is playing Curling with his Wednesday nights’ team and loves all-things Pop Culture. Katie has been with TRINUS since May, 2008. 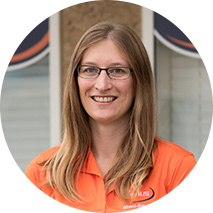 She is an IT Technician and specializes in making Security and Monitoring enhancements to Client systems. Katie strives to serve and protect our Clients, as well as our Team members. Outside of work, she does a fair amount of Photography for family and friends.